ACE Tips: How to Mount Two Shock Absorbers in Parallel – ACE Controls Inc.
It’s not always possible to mount your shock absorber in the center of a moving mass—which is often the case in Cartesian robot systems. For one, moving masses have a wide impact surface, which can make it difficult to place your shock absorber exactly in the middle. ACE tip. 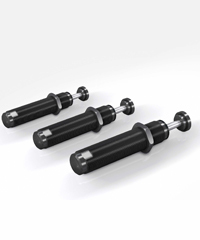 To avoid torsion in these types of applications, simply mount two shock absorbers on the left and right of the outer impact area of the mass. Make sure that you mount both dampers at the same height, however, otherwise they won’t be parallel. Sometimes your application might not have enough space to mount a large damper. Again, the solution is to mount several smaller dampers in parallel. This kind of mounting will effectively decelerate your moving mass despite the limited space. ACE tip. Use self-compensating dampers, which you can size according to the exact stiffness requirements of your application. This ensures every damper of the same model and weight will have the same stiffness and damping characteristics. Adjustable dampers, on the other hand, are too difficult to adjust equally—creating differences in stiffness that can cause the moving mass to impact each damper differently. 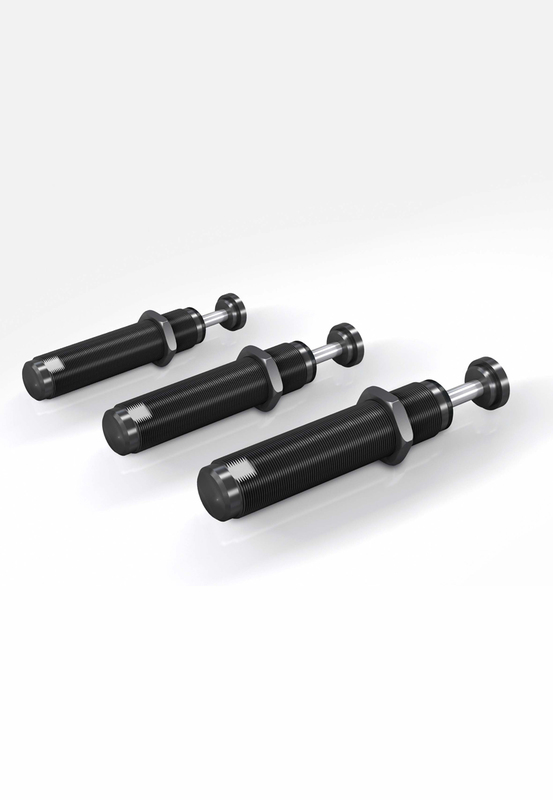 Using our free calculation program and online sizing tool, you can size shock absorbers and gas springs for nearly any load and direction within minutes. For particularly difficult or complex applications, our application engineers are ready to help. To get started, visit www.acecontrols.com/us/calculations.html.